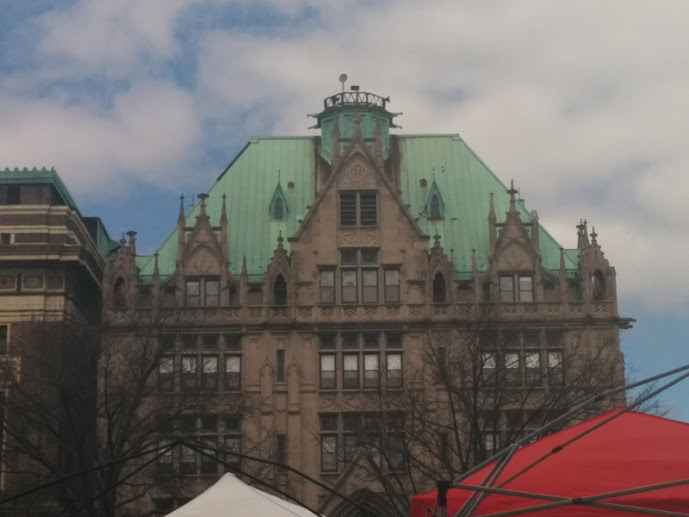 The Fort Greene Flea Market in Brooklyn re-opened for spring on April 5th and I had been itching to visit the flea market ever since coming back to New York. 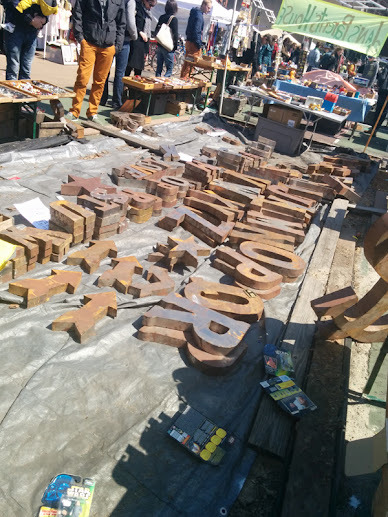 Fortunately, it was a gorgeous day on opening day so my boyfriend, our friends, and I trekked down to Brooklyn to check out the flea market. 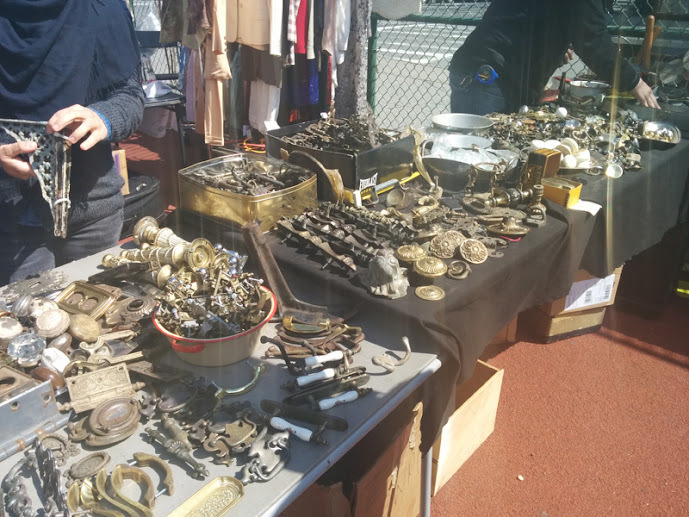 Click through the jump to see photos of the curiosities and potential treasures that await at the flea market as well as if I walked home with something of my own! As with all flea markets, the inventory constantly changes. 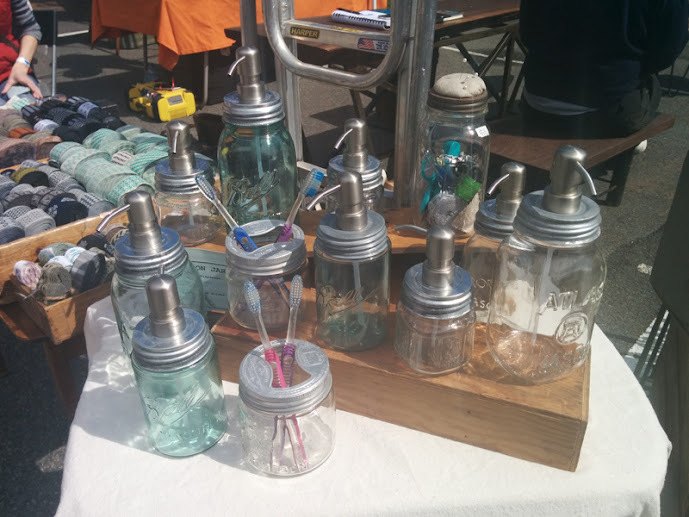 There are big items such as furniture, small trinkets, and handmade items. 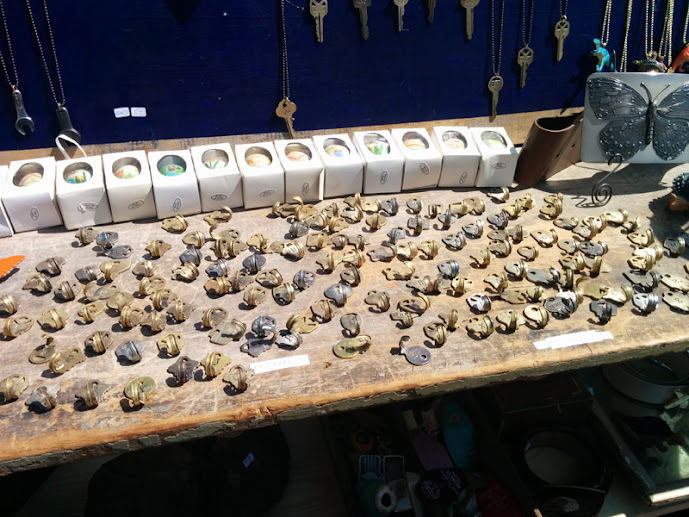 I noticed that there were a lot of small curiosities such as keys, vintage toys and wood boxes. Although I wasn't particularly browsing for vintage clothing, there was a good amount of vendors who sold clothing as well. I was looking specifically for home goods and home decor items. 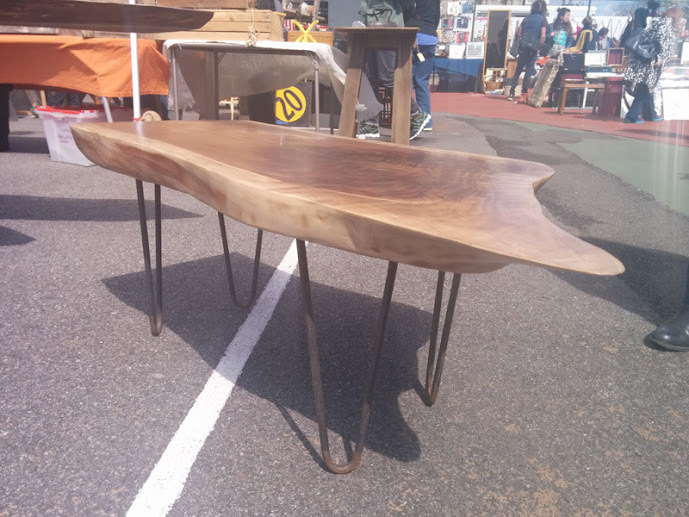 For furniture, there were a couple independent craftsmen who made furniture from salvaged parts. My favorite furniture vendor (not pictured since she did not allow photographs) made tables, chairs, and long countertops using natural wood slabs and galvanized piping as the legs. 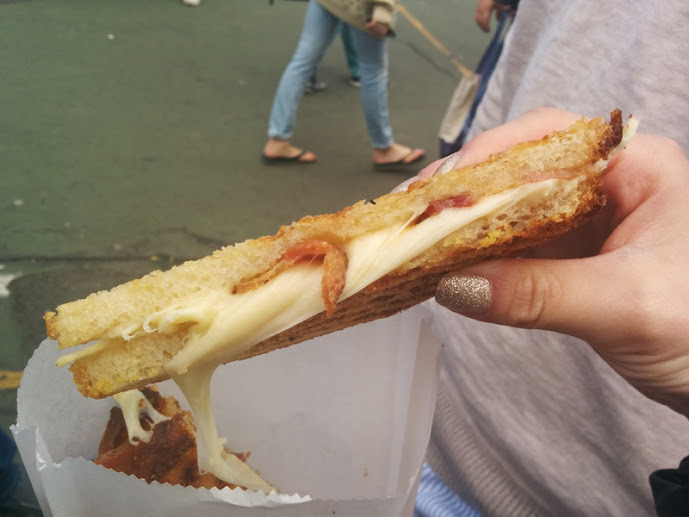 There was also food at the flea market, and most of them were lined up at the back of the market. 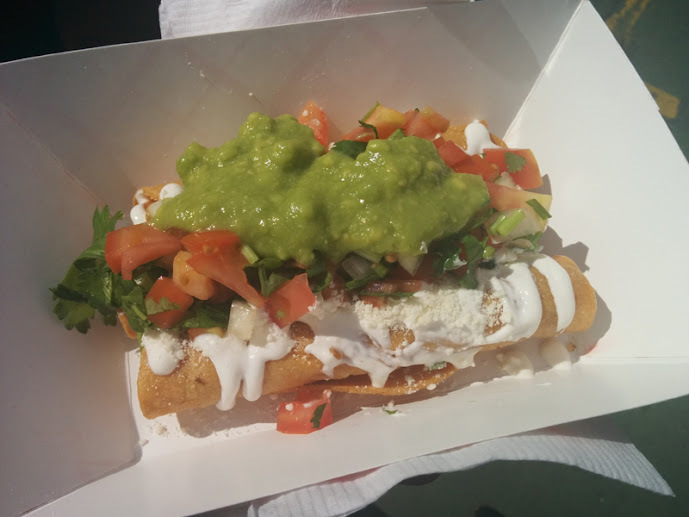 The food cuisines ranged from BBQ, Mexican, Japanese fusion, American, and desserts (popsicles, shaved ice, and doughnuts). It's the perfect place for lunch! As for prices, some of the items were slightly over-priced. You can bargain however, but I didn't see anything worth haggling the price down for during this trip. My advice is to always do your research and look for equivalent items online and see how much they're selling for. I usually look to Etsy and Ebay to see how much the items I like are selling for so I'll know if I'm getting a good deal at the flea market. Salvaged hardware. Lots of knobs, pulls, and more! Hair pin furniture. I loved this piece. 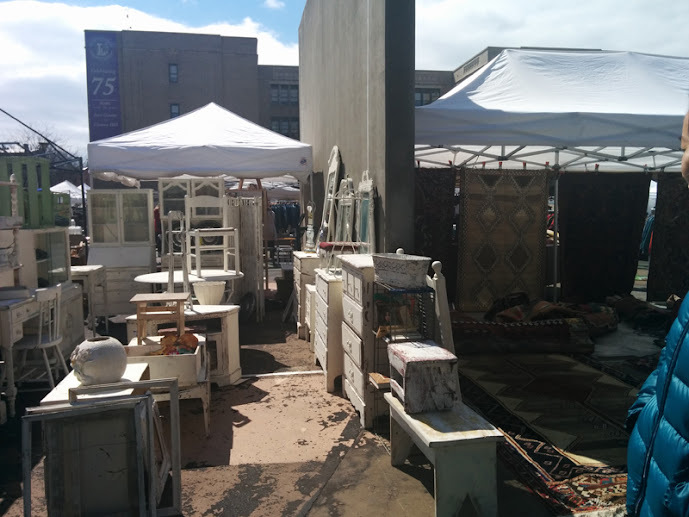 As I mentioned at the beginning of the post, I went to the market to search for things for my apartment. So did I find anything during this trip here? Yes I did! 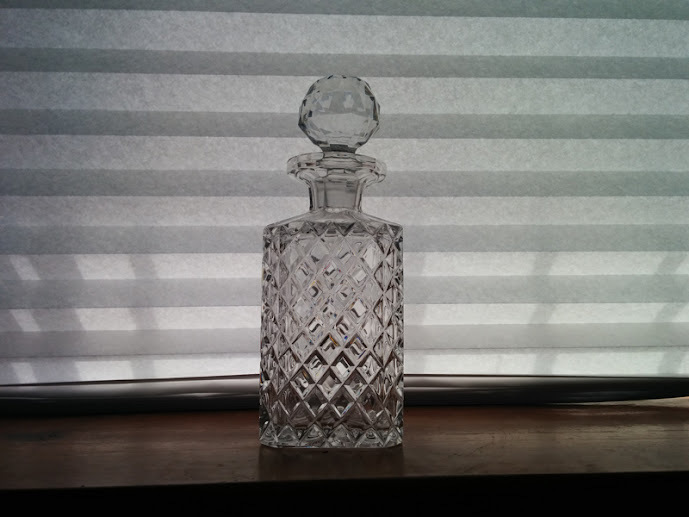 I got an amazingly gorgeous crystal decanter for $20! 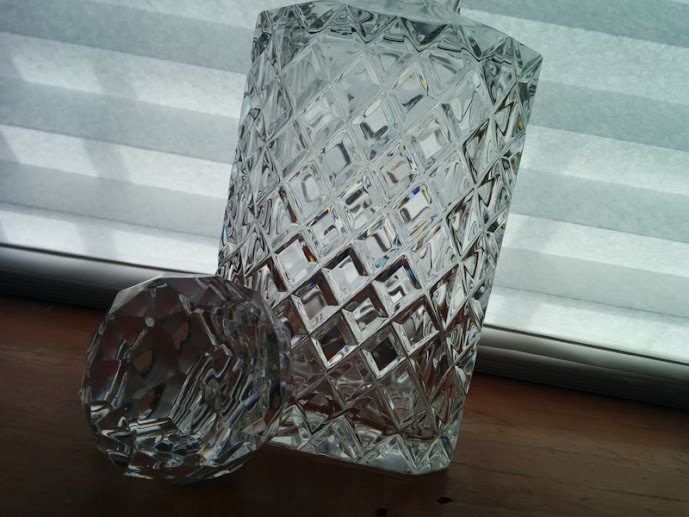 It had been something that I thought I'd find at the flea market, but I was searching for a decanter in a quilted diamond pattern so that it would match my already existing quilted gold bucket and studded Ikea whiskey glasses. Furthermore, due to practically everything being second-hand at the flea market, I wanted the stopper to be devoid of plastic or rubber. I was very lucky to find a decanter that fit all those specifications, and at only a $20 price tag!! A decanter of this style and material can range anywhere from $40 to $100 on Etsy, so I knew the price was amazing. Decanter details with faceted crystal sphere stopper.